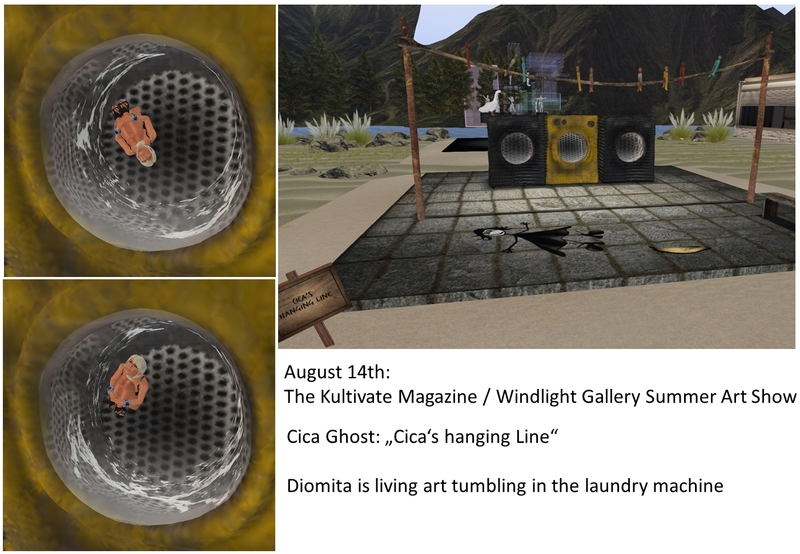 Following Inara Pey’s blog I came across and art show and event in Second Life “Kultivate Summer Art Show in Second Life“. 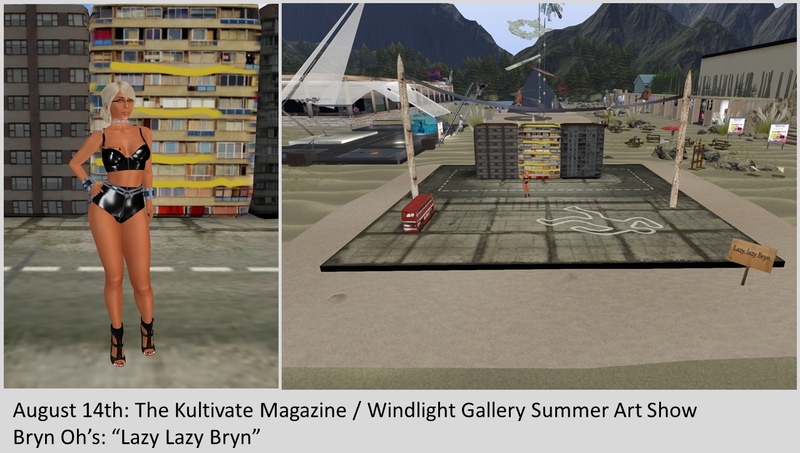 The Kultivate Magazine / Windlight Gallery Summer Art Show has opened in Second Life. Running through until Saturday, August 20th, the event features, art, music and shopping. Over 50 2D and 3D artists are participating in the event. And some of them did appear already in this blog and hence are my favourites: Bryn Oh and Cica Ghost. The whole show is placed on a beach, with a few larger buildings for the 2D art and many kiosks for shopping. Inbetween is a big event stage (see list of events in Inara’s blog article or at the show web page) and the 3D art pieces. I placed myself into Silas Merlin’s sphere and I really stand out there, don’t I?). I also got into Cica’s art “Cica’s hinging line” tumbling in a huge washing machine (poor me!) and I became part of Bryn Oh’s “Lazy Lazy Bryn”. There’s a lot to see. Have fun!